A mould-breaking motorcycle. 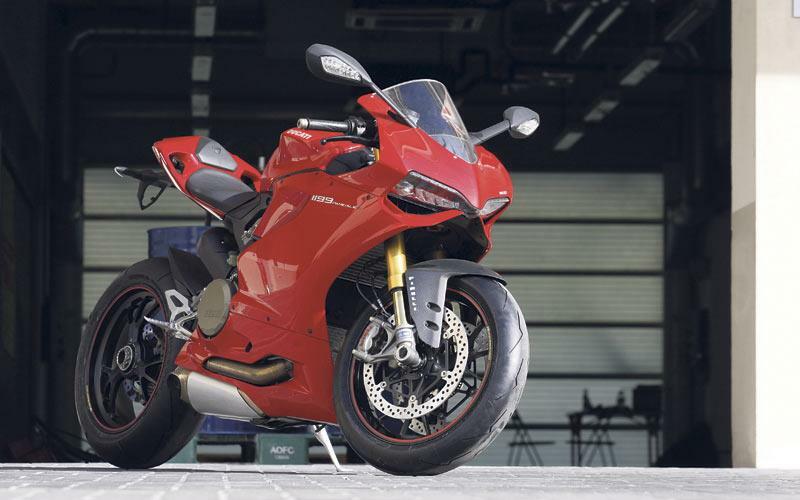 Apart from the colour and the noise it makes, the Panigale S has nothing in common with Ducati superbikes of old. The chassis is ‘frameless’, there’s a new-generation ‘superquadro’ engine and it comes with the latest electronic rider aids, which work. Producing a claimed 195bhp and weighing 188kg, wet, it has a fearsome power-to-weight ratio, but is remarkably easy to ride. Gone is the out-going 1198’s excess of almost uncontrollable torque and in is a smooth power curve and a searing top end. 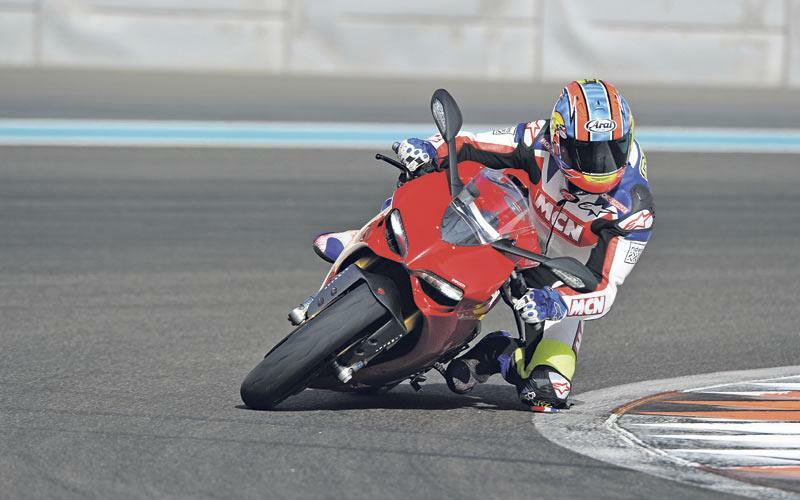 Like Ducatis of old its super-stable in fast corners, but now it steers as fast as a Japanese superbike. It’s a very clever motorcycle and very, very good. 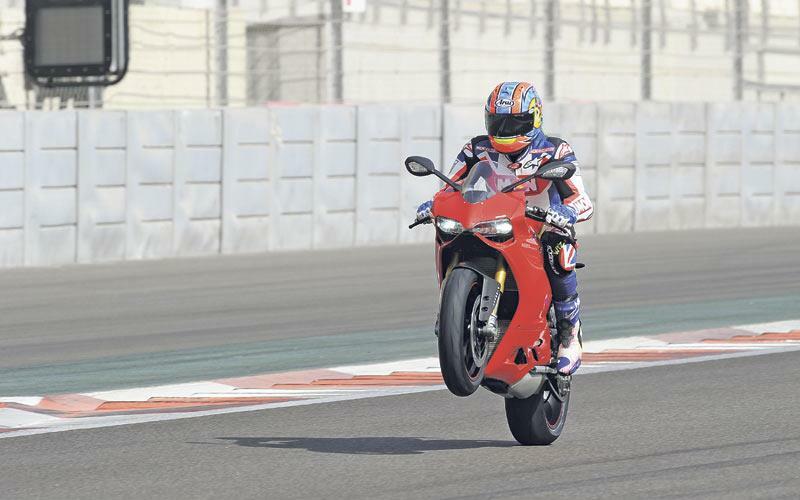 The riding position is completely different to Ducati superbikes of old and there’s a far shorter stretch to the bars than before, which keeps you more in control. It’s incredibly light and has the kind of Fireblade-like stability the 1198 could only dream of. With the S model’s electronic riding modes, you can alter the electronic suspension’s settings, power, throttle response, engine braking and traction control on the move. This lets you have the Panigale smooth, docile and comfortable on motorways, or sharp, responsive and fiery on your favourite road, or track. New Brembo monobloc brakes (with discs spaced out 15mm to catch the cooling airflow) are incredible and can be used to the max, thanks to the stability of the new chassis design. The new ‘superquadro’ (or super-square) 90° V-twin engine has an extreme 106mm x 67.9mm bore and stroke measurement and revs to high-heaven, thanks to its desmodromic valve system, which is now operated via chains, instead of belts. It has new vacuum die-cast crankcases, new pistons and the sump, clutch and cylinder head covers are made from magnesium alloy. The engine has a decompression device, which allows a smaller, lighter starter motor and battery. It has a new gearbox, a wet slipper clutch and a ride-by-wire throttle system for the first time. The Panigale is obscenely fast, but controllable, the throttle response is smooth and the power delivery linear. 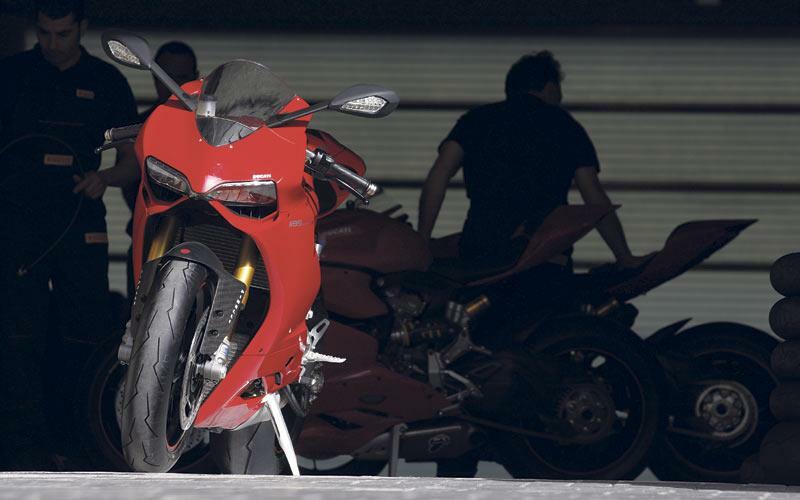 The 1198’s excess of lowdown torque has been tempered, which makes the 1199 more controllable under hard acceleration. Forget the old myth that Ducatis are unreliable, because they just aren’t anymore. Modern-day Ducatis are as dependable as Japanese bikes and don’t cost a fortune to service. 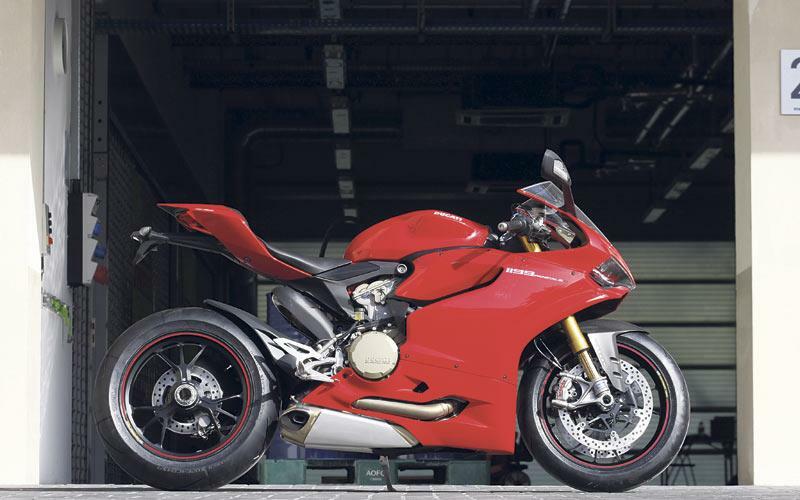 With the Panigale now using chains instead of belts, major services has doubled from 7500-miles to 15,000. Build-quality is superb. For a shade under twenty grand when new, the Panigale S is expensive in anyone’s books, but if you can afford it, you’ll be getting a lot for your money. The base model, which has everything except electronically-adjustable suspension is more affordable. This S model comes with a bewildering array of equipment as standard. 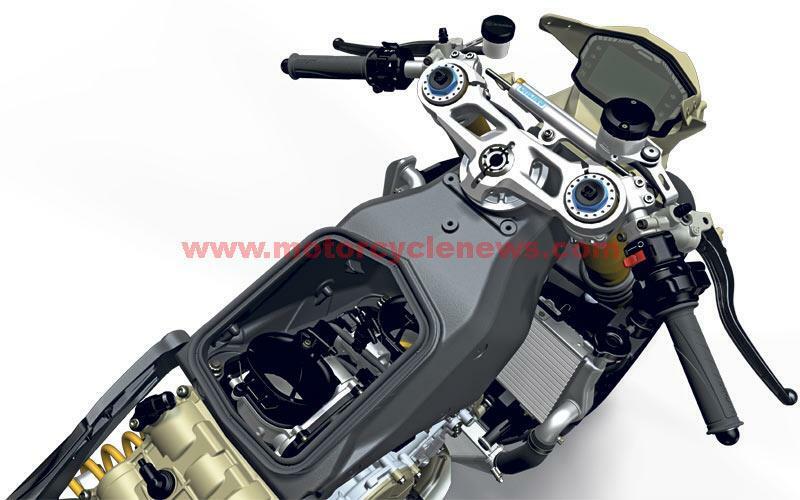 It has Ohlins electronic suspension (the standard model has 50mm Marzocchi forks and a Sachs rear shock), an adjustable rear suspension link, Brembo monobloc brakes, traction control, riding modes, electronic engine braking control, a slipper clutch, a quickshifter, magnesium and titanium engine parts, a Thin Film Transistor mult-function dash, optional racing ABS and new Pirelli Diablo Super Corsa tyres with a 200/55 section rear. Base model - with 50mm Marzocchi forks and Sachs rear shock. Tricolore – Red/white/green paintjob, ABS, race exhaust can and GPS datalogger. 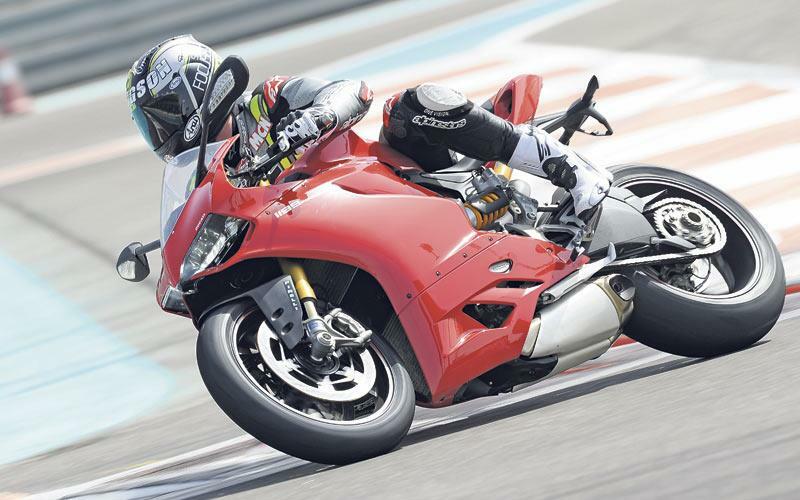 3 owners have reviewed their DUCATI 1199 PANIGALE S (2012-2014) and rated it in a number of areas. Read what they have to say and what they like and dislike about the bike below. Best bike I have owned with all the cool electronics that most GP bikes have! Made an old man very happy ! I had a modest inheritance and bought myself the dream. I bought the Tricolore mostly due to it's looks and then added pretty much everything on the accessory list.... all the carbon, the luggage, race down-pipes and the Up-Map, but not the dust cover which was just TOO expensive. I was lucky, a little foolish and haven't regretted a moment of it. To all the detractors I say there's room for all and each to their own. I am by no means a wealthy man (especially after buying the Tricolore) but have been fortunate enough to buy my personal dream.... and who wouldn't do that, given the opportunity ? It is sooo much better than I am as a rider, but it is gifted with wonderful electronic aids that make up for any kack-handedness from the operator. I have owned a 675R Daytona previously, which I loved (though I couldn't either afford or justify both it and the Ducati at the same time) and various old mid-range Hondas before that. As a 'never born before biker', I got my full licence in early 2012 and cut my teeth on the old Hondas (I'm 57) and made all my dangerous mistakes on them before getting anything with any go in it, then went from Triumph to Ducati pretty quickly thereafter. So.... I'm no great biking Guru or expert in any way worth considering, though a career in the motor trade, hands-on, has given me plenty of experience in performance driving. Although not directly comparable, there are plenty of cross-over skill-sets to draw from. My bike has done well over 7000 miles in all weathers, is on it's second set of tyres and has had a hissy-fit just the once when some damp found it's way into a chocolate-block electrical connector under my seat. Everything went nuts on the speedo screen and the motor went into 'limp-home' mode (restricting me to somewhere around the national speed limit), then was perfect again after my dealers at Ducati Coventry fixed it over a cup of tea (and showed me how to fix it if it ever did it again... just blow into the plug, bit of WD and Bobs yer wotsit. I every other way, the bike is astonishing. It will lift it's wheel just under normal acceleration even in 3rd, floats it in 4th and is beyond words at full throttle in 6th where it seems to start pulling even harder beyond 180 ! Get a road test on an 'S' model... pretty much the same as mine except for the top-end. There are probably faster bikes, definately cheaper bikes and many others that are more user-friendly/easy to ride, but nothing gives the same thrills that Ducati have built into the Panigale (subject to my basic ignorance, of course).